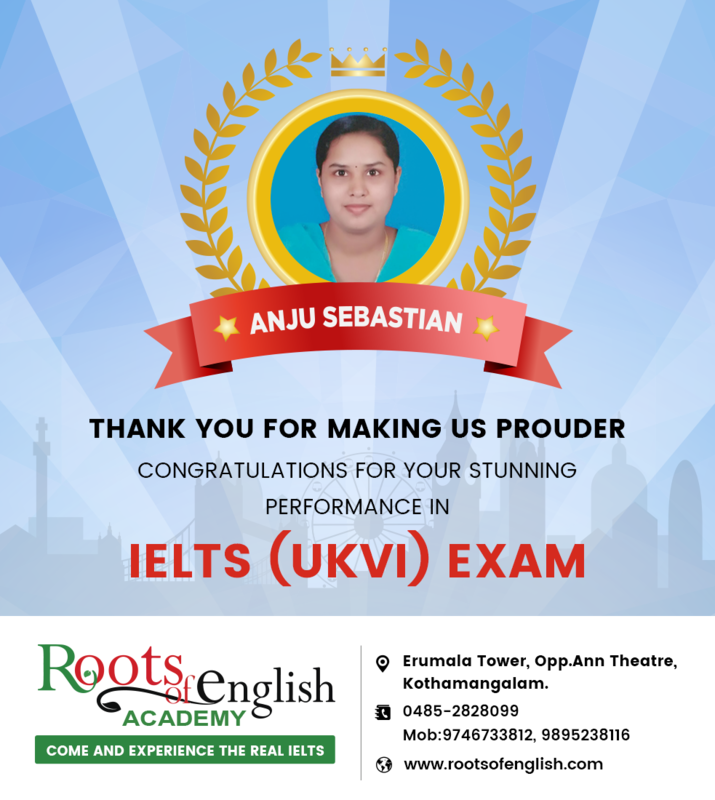 Congratulations Anju Joseph for your stunning performance in IELTS (UKVI) exam. 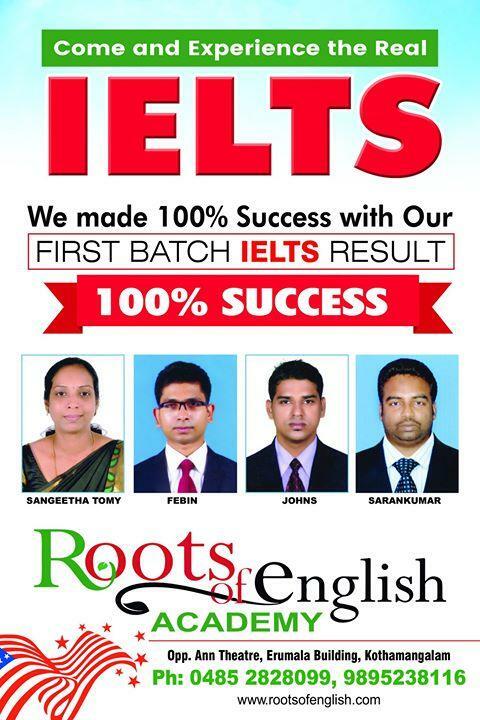 We made 100% success with our first batch IELTS result. Roots of English Academy came to existence at Kothamangalam , Kerala , in 2010,with an aim to mould prolific English users out of an enthusiastic person who really loves to learn English. Copyright © 2019 rootssofenglish.com. All rights reserved.